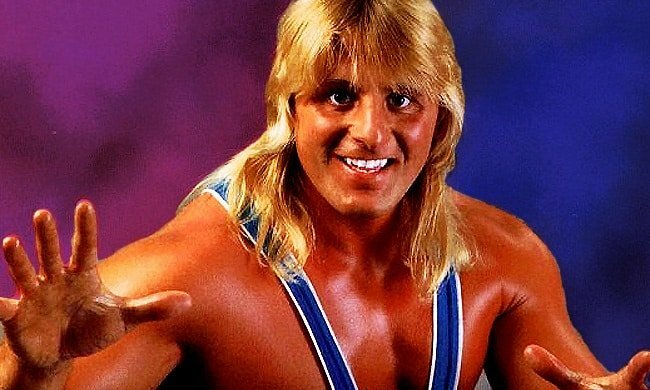 When Brian Blair was a guest on episode 4 of The Genius Cast with Lanny Poffo, his appearance capped off a frenetic week involving his best friend, and hall of fame wrestler, Paul Orndorff. 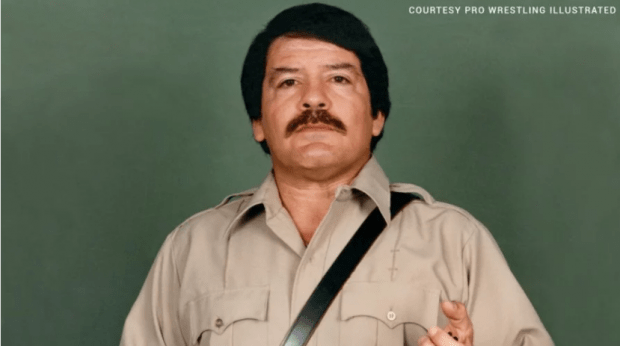 On The Genius Cast (listen above), Brian Blair shared stories about traveling with Paul Orndorff as well as his legendary toughness and shoot fights. He also gave a health update about Orndorff, which is why Mr. Wonderful found himself as a viral topic on social media. So how did we get here? 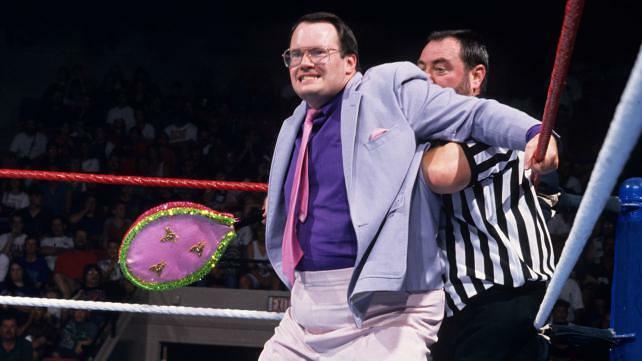 There is a backstory to how a sputtering fundraiser to help this legendary wrestler took hold and I was happy to play a role in bringing attention to it. 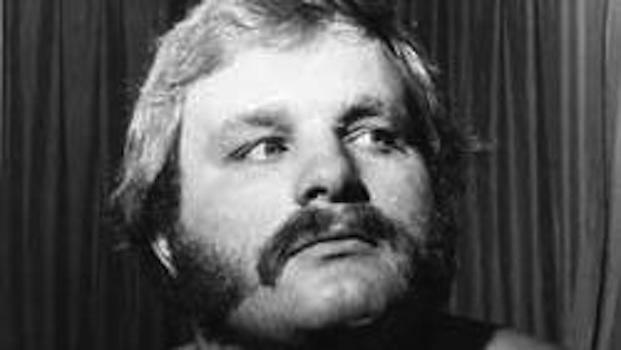 The unexpected set of circumstances began two weeks ago when a message was posted by a wrestling fan on my Turnbuckle Magazine Facebook page. In that message was a link to a GoFundMe campaign for “Mr. Wonderful” Paul Orndorff that was launched by his son Travis Orndorff. 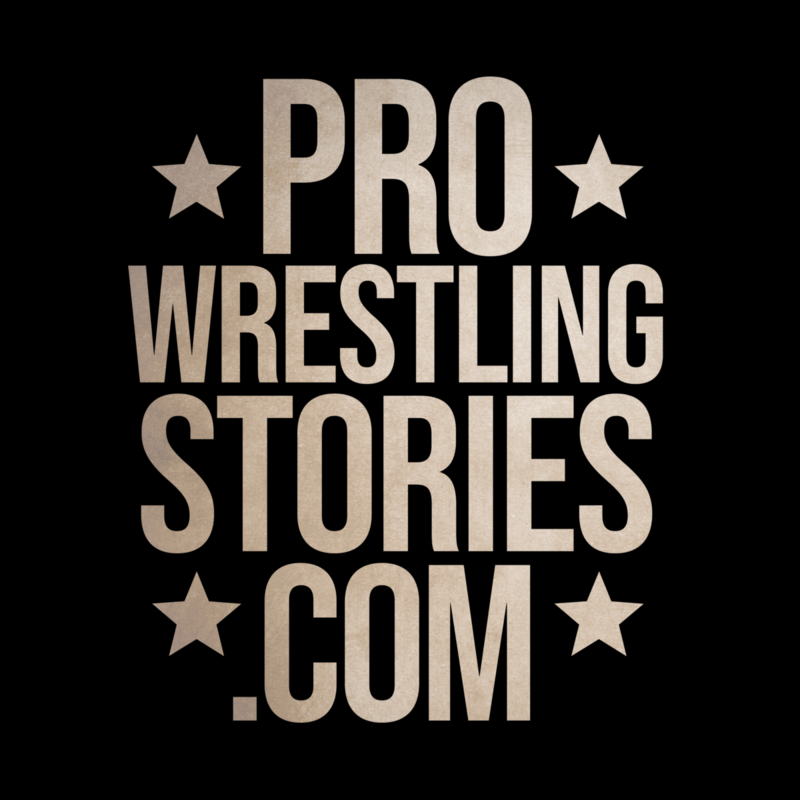 For myself, like many other wrestling fans, when a GoFundMe pops up on social media for a former professional wrestler, the campaign is viewed with a doubting eye. When the first few campaigns were launched, nostalgia typically overrode any question about why a former high-profile entertainer who seemingly made a very good living would find themselves in the position of needing financial help to pay for a knee surgery, hip replacement or any other medical malady. “They should’ve been smarter with their money,” is a common retort. And in most cases that is true. If you would’ve asked for a list of 1980s wrestling stars who would likely end up in the situation of needing financial assistance, Paul Orndorff, who enjoyed many years as a main event star, would’ve been among the last names mentioned. 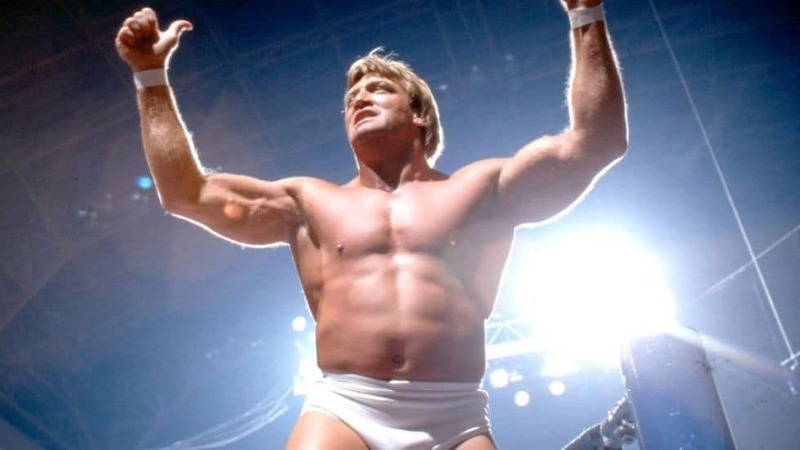 Not only did Paul Orndorff enjoy a 24-year wrestling career largely as a top-of-the-card talent with the WWF and WCW, during his career, he was also in the main event of the first WrestleMania and main evented a card in Toronto in a match versus Hulk Hogan that drew nearly 80,000 fans. 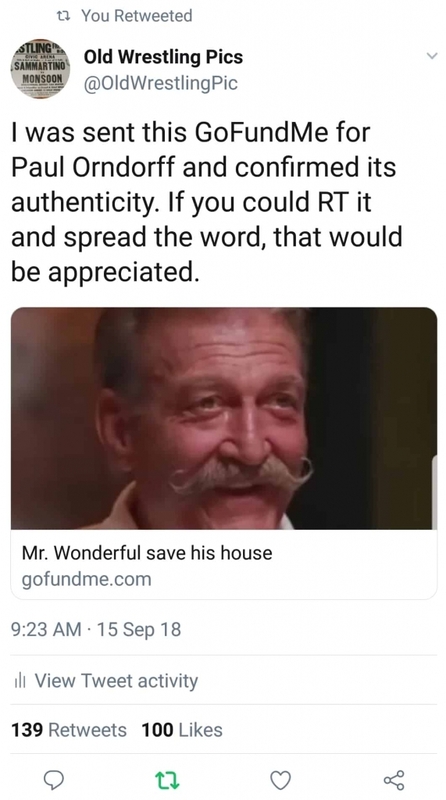 The GoFundMe campaign description said the funds were to pay three years of overdue property taxes on Paul Orndorff’s home and to purchase medication. If Paul didn’t get current on his property taxes by the end of September, his home was going to be sold by the bank. 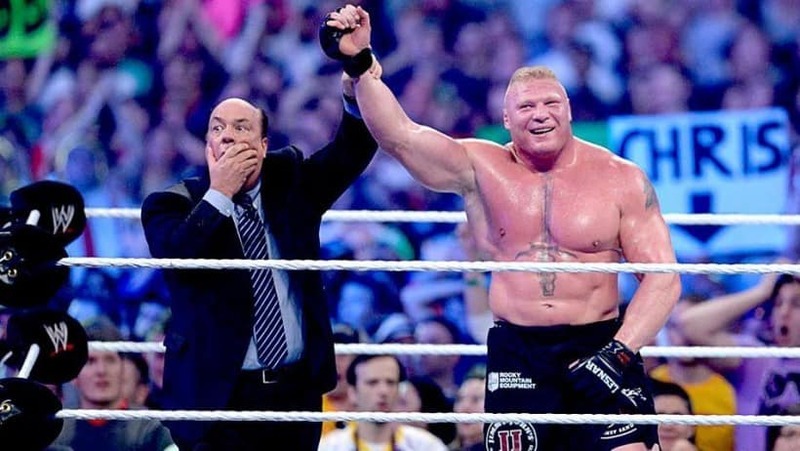 I could envision the eyes rolling as skeptical wrestling fans read this. I reached out to Brian Blair, who is the President of the Cauliflower Alley Club, a non-profit that helps wrestlers who are in need, asking if he knew about the campaign and if he could confirm its authenticity. He responded within a few minutes and confirmed this was real. In my message, I expressed surprise that Orndorff would be in this position, as he was known as a wrestler who was smart with the millions of dollars he earned during his career. 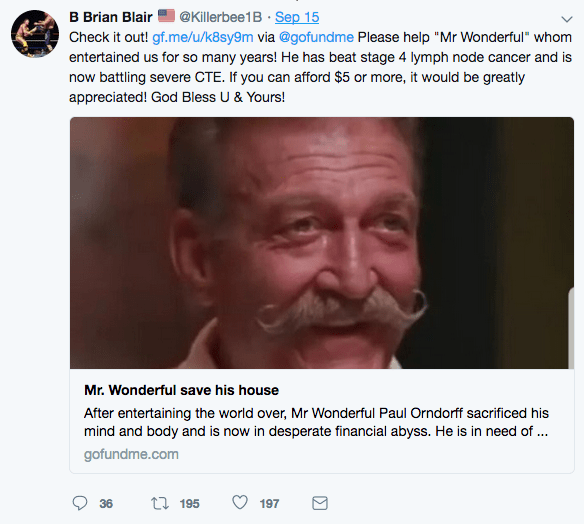 Brian explained that the medical costs associated with Orndorff fighting, treating and beating Stage 4 lymph node cancer had taken its financial toll. Armed with this info and confident I could use it to respond to cynical fans, I tweeted the link to the GoFundMe campaign, as did Brian Blair. The response to the Twitter posts was immediate. Many wrestling fans shared the post with many also donating to the cause. Wrestlers such as Hurricane Helms, Gerald Brisco and Rip Rogers also shared the tweet as the buzz about Mr. Wonderful’s situation grew. More than 200 donations rolled in. Most were from fans but wrestlers also contributed including Dallas Page, Chris Irvine (Jericho), Afa Anoai among others. Prior to amplifying the campaign, $640 was raised. Following the social media posts, the $10,000 goal was exceeded in a little more than a day. 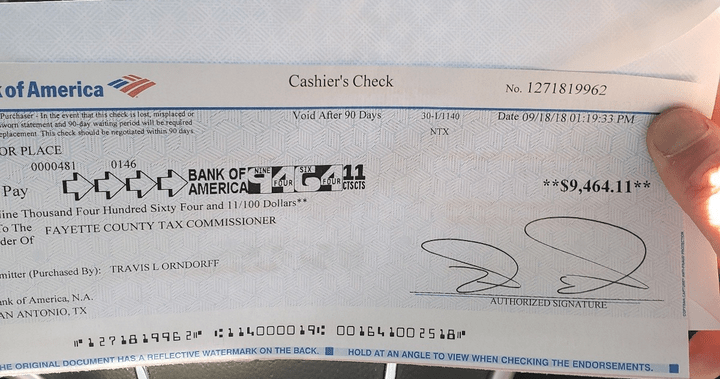 Here is the cashier’s check used to pay off Paul Orndorff’s property tax debt thanks to the contributions from fans and wrestlers alike. 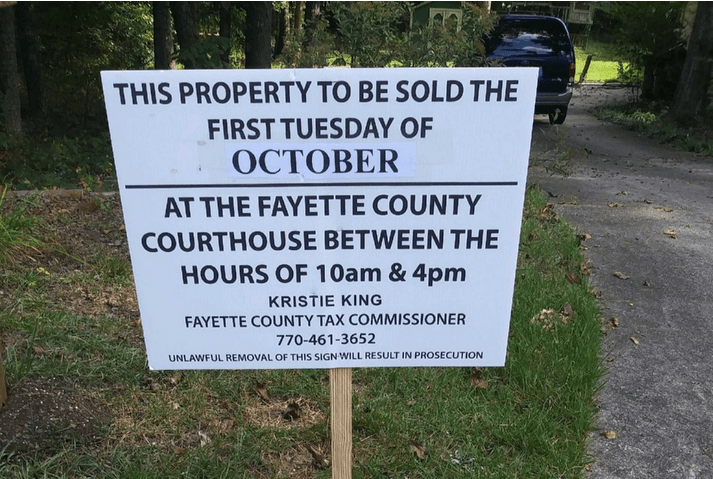 With the funds, the three years of back property taxes were paid and Paul Orndorff’s home was saved. Additional funds will be used for medication, as Paul continues to fight health issues including memory loss associated with the lymph node cancer. Orndorff was also diagnosed with showing signs of having CTE, which Blair said is likely due to the concussions Orndorff suffered during his wrestling career. “He’s having problems with his memory; a lot of problems with that,” Blair said on The Genius Cast podcast. “He’s on medication that is helping. He only recognizes a couple people other than his family members. Luckily, I can pick up the phone and he can remember so many things. He’s always so happy when I call him. It’s part of my weekly routine to call him. 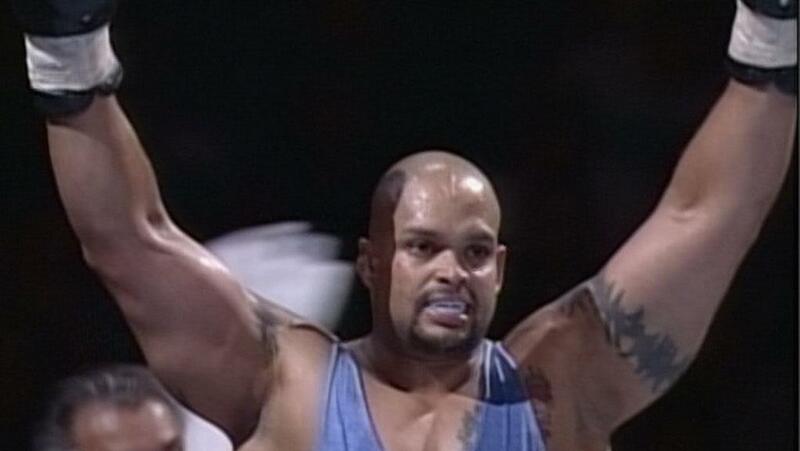 Related: B Brian Blair on Paul Orndorff, Shoot Fights, Ribs, and more! In addition to bringing Paul up to date on his property taxes, the family will have a much smaller burden on meeting future tabs as they successfully lobbied for an exemption, which lowered his tax rate going forward by 75 percent. Funds raised from the GoFundMe campaign will cover his home for the next four years at this new lower tax rate. 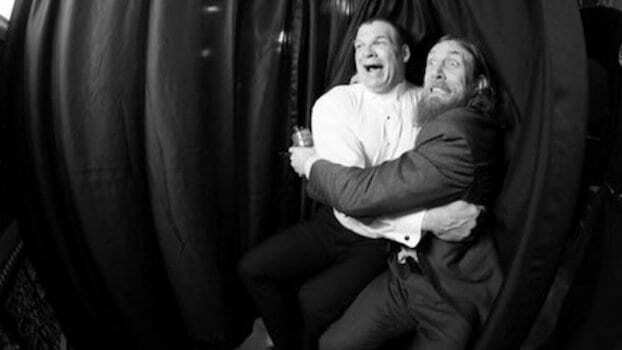 Brian said he is helping Paul with getting bookings and he is now ready to make appearances at conventions, etc. Serious inquiries can be sent to Brian on Twitter at @Killerbee1B or on his Facebook page at @brianblair.